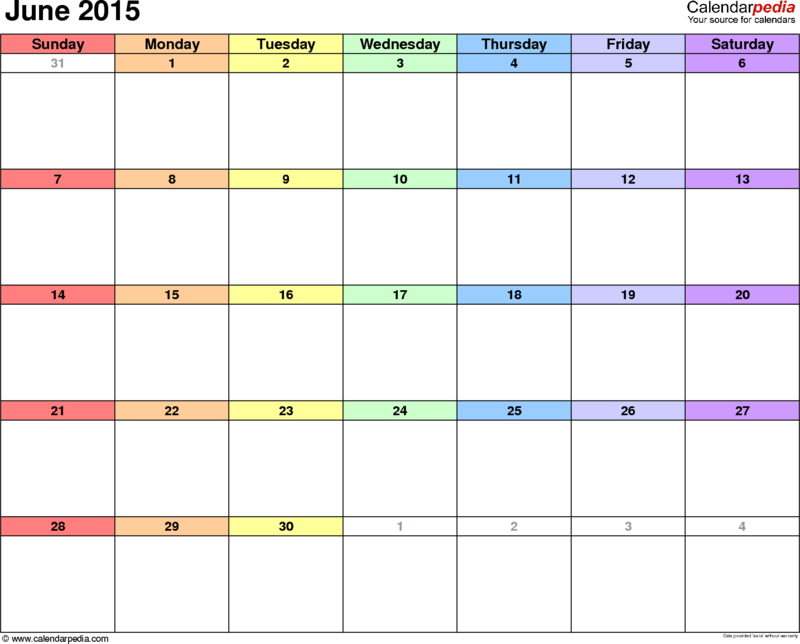 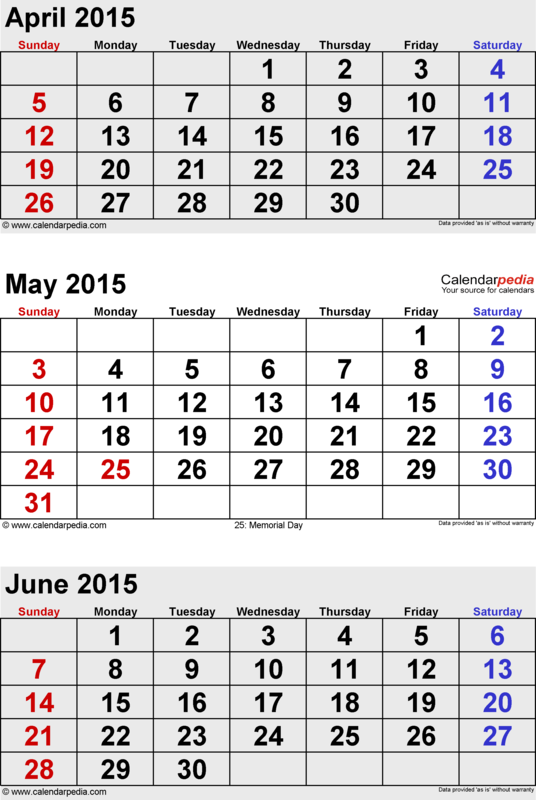 Practical, versatile and customizable June 2015 calendar templates. 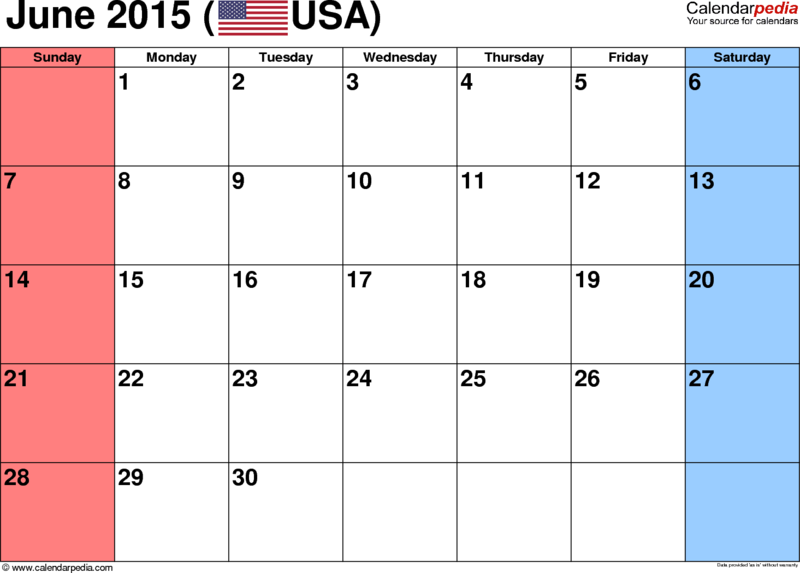 United States version with federal holidays. 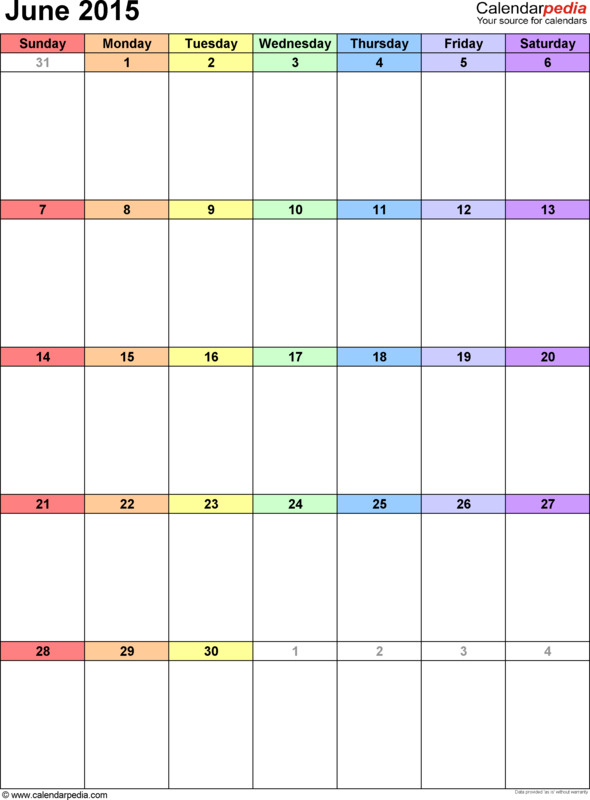 Suitable for appointments and engagements, as a monthly planner (or weekly planner), month overview, monthly events planner, activity planner, desktop calendar, wall calendar, wall planner, blank calendar, school calendar, holiday and vacation planner, trip planner, journey planner, travel planner, company calendar, office planner, college calendar, university planner, school calendar, holiday calendar, holiday chart and leave planner, attendance tracking system, shift calendar, shift planner, employee schedule, custom calendar, family planner, simple project management tool, team collaboration tool, EMM, ERP, SCM, PLM, CRM, HR, reporting, to do list, task management, appointment calendar, appointment planner, desktop calendar, as time sheet, time management tool or time tracking software, for process management, process optimization, help desk administration, business administration, business intelligence and analytics, automation, forecasting, finance, accounting, financial planning, tax planning, sales & marketing, customer service, customer relationship management, process & supply chain management, data analysis, availability and booking, as a staff planner or for staff/employee scheduling, employee absence tracker, people planner, as a scheduler for workshops, symposiums, conferences and events, as work schedule, wedding planner, for use at home or work, in private life or business situations and many more... 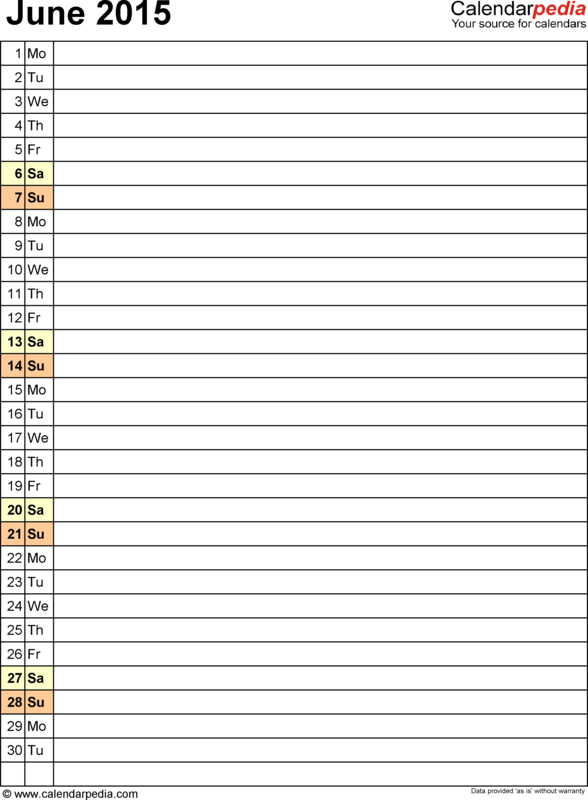 The Excel & Word templates are blank, printable, editable, fillable and macro-free and can be changed, amended, saved and printed to suit your exact requirements. 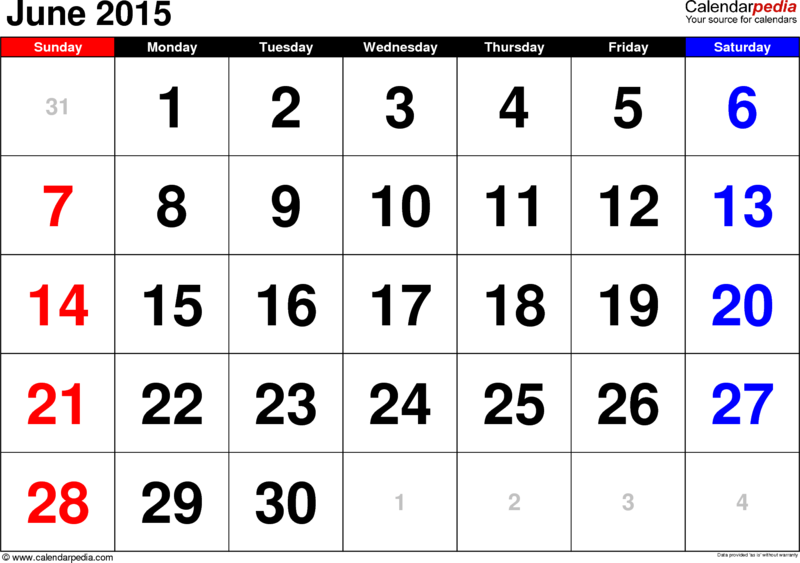 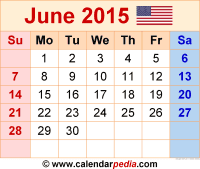 There are no federal holidays in June 2015.